The USSEE Board of Directors is pleased to announce the nominees for the 2015 Board Elections. The following nominees are for 4 available positions each with a 2 year term: Secretary-Treasurer, At-Large Member (2 positions), and Student Representative. Nominees are presented by position in alphabetical order. Elections will open Friday May 29 and run through June 5. 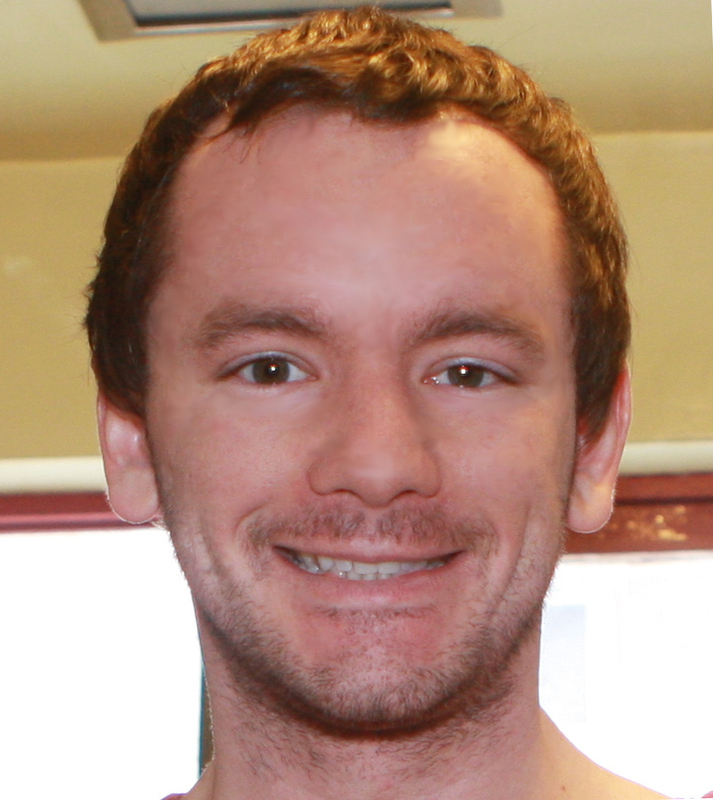 Kyle Gracey is the current Student Representative on the Board of Directors. Kyle has presented at USSEE and ISEE conferences in the areas of ecological footprint and equality in green job creation. He is a chapter author of Building a Green Economy: Perspectives from Ecological Economics and has published in Ecological Indicators. He is the former Student Representative on the Board of Directors of the Working Group for Ecological Economics and Sustainability Science at the Society for Conservation Biology. He formerly worked as a Research Scientist at Global Footprint Network, at Gade Environmental Group consulting, Climate Action Network-International, and for the White House, U.S. Department of Transportation, and U.S. Department of the Treasury. Kyle also serves on the boards of directors for Engineers for a Sustainable World (Chair), Student Pugwash USA (Vice President), SustainUS: U.S. Youth for Sustainable Development (Chair), and the Truman Scholars Association (Immediate Past President). Kyle is a Ph.D. candidate in the Engineering and Public Policy Department at Carnegie Mellon University. He received his M.S. from the Geophysical Sciences Department and Harris Public Policy School at The University of Chicago, and earned B.S. degrees from Rensselear Polytechnic Institute in Biochemistry & Biophysics and Ecological Economics. John A. Sorrentino is Associate Professor of Economics at Temple University. He was a co-founder of Temple University’s Environmental Studies Program, and was honored by the University with a 1999 Lindback Award for Distinguished Teaching. Most of his publications and consulting work have involved the micro-economics of energy and the environment, and have appeared in journals such as the American Economic Review, Journal of Environmental Economics & Management, Environmental Management, and Landscape & Urban Planning. His works-in-progress include such topics as sustainable housing placement, environmental information systems, sustainable business practices, urban agriculture, and using environmental and health amenities to offset wealth inequality. 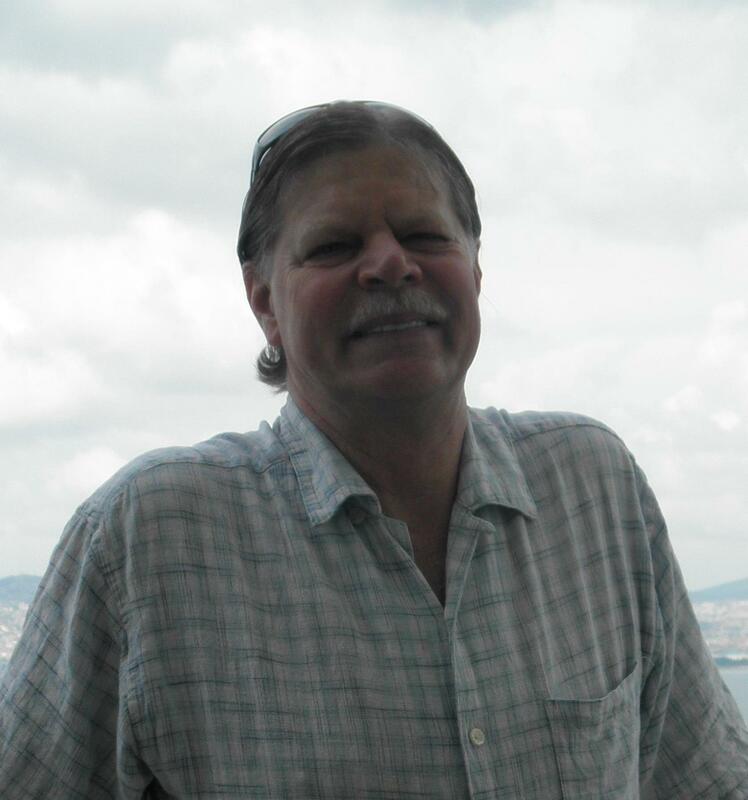 John was a charter member of USSEE, is a member of the Scientific Committee organizing the 2015 Biennial Conference, and looks forward to having a direct hand in the Society as Secretary-Treasurer. Carefully documenting the operational and financial activities of any organization is important, and USSEE is no exception. The period of damage-control is over, and the future should bring stability and growth. John received his B.B.A. from Baruch College of the City University of New York and M.S. and Ph.D. degrees from Purdue University, all in economics. Paul Baer is the Research Director of EcoEquity, a small climate justice think-tank that he co-founded in 2000 with Tom Athanasiou. He is an internationally recognized expert on issues of equity and climate change as well as the economics of climate and energy policy. He holds a PhD from UC Berkeley’s Energy and Resources Group. In 2009-2013, he was an assistant professor in the School of Public Policy at the Georgia Institute of Technology, where he taught courses on environmental policy and ecological economics. In 2013-2014, he was the California and Western States Climate Economist at the Union of Concerned Scientists in Berkeley, California. 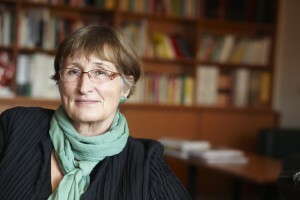 Dr. Baer has written numerous articles, book chapters and policy commentaries on climate change, environmental policies and equitable development. His articles have been published in such peer-reviewed journals as Bioscience, Environmental Research Letters, Climatic Change, Energy Policy, and Wiley Interdisciplinary Reviews (WIRES) Climate Change, and in numerous anthologies. 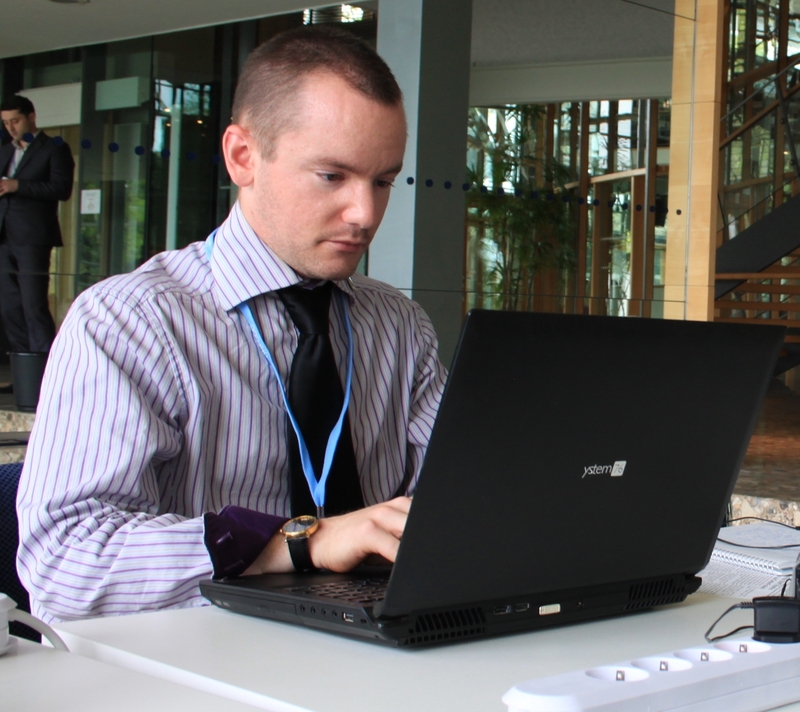 He was also a contributing author to Working Group III of the IPCC’s Fifth Assessment Report, and was an Associate Editor of Environmental Values from 2009-2012. Candidacy Statement: I chose my graduate programs specifically to work on ecological economics, because I saw a need for ecologists and others doing interdisciplinary work to have an alternative to neoclassical economics. My work on global climate justice has focused on identifying the appropriate scale for GHGs and an equitable approach to redistributing newly scarce rights in a global commons. My natural science training led me early on to recognize that CO2 concentrations around 350 ppm were necessary to preserve a reasonable probability of climate stability. Given our overshoot, principles of equity make it clear that redistribution, not merely more efficient growth, is essential to the solution. After leaving academia, I spent a year working for the Union of Concerned Scientists, a “science-based advocacy organization.” But there is no coherent body of social science to provide the necessary analysis of the political and ecological economics of climate change. I believe ecological economics and the USSEE can help organize a coherent alternative to neoclassical climate economics, providing enough legitimacy to be useful to organizations like UCS and other scholars, activists and politicians who see the sustainability transition as non-marginal and redistribution as an essential component. I hope as a member of the board to work across intellectual communities to help make this possibility a reality. Nate Hagens is a well-known speaker on the big picture issues facing human society. Until recently he was lead editor of The Oil Drum, one of the most popular and highly-respected websites for analysis and discussion of global energy supplies and the future implications of energy decline. Nate is currently on the Boards of Post Carbon Institute, Bottleneck Foundation, IIER and Institute for the Study of Energy and the Future. Nate’s presentations address the opportunities and constraints we face after the coming end of economic growth. On the supply side, Nate focuses on the interrelationship between debt-based financial markets and natural resources, particularly energy. On the demand side, Nate addresses the evolutionarily-derived underpinnings to status, addiction, and our aversion to acting about the future and offers suggestions on how individuals and society might better adapt to what’s ahead. Ultimately, Nate’s talks cover the issues relevant to propelling our species (and others) into deep time. Nate has appeared on PBS, BBC, ABC and NPR, and has lectured around the world. He holds a Masters Degree in Finance from the University of Chicago and a PhD in Natural Resources from the University of Vermont. Previously Nate was President of Sanctuary Asset Management and a Vice President at the investment firms Salomon Brothers and Lehman Brothers. Christie Klimas’s research brings together ecology and economics, in urban and tropical settings, to address questions of sustainable resource use. Due to the economic drivers underlying resource use, economic knowledge is an essential component of sustainability. Indeed, economic studies have moved to the forefront of sustainable ecosystem management and recent research has focused on quantifying the monetary benefit of ecosystem services like pollination, water filtration, and carbon storage. A commonality in her research interests is working toward ecologically sustainable resource management that recognizes the role of citizen stakeholders. She is co-leading a collaborative effort with funds from Environmental Protection Agency’s P3 (People, Prosperity and the Planet) Program to train a network of capable citizen scientists qualified to adaptively manage their part of the urban landscape via soil quality assessment. This grant would also provide educational opportunities for undergraduates to train community members and high school students in soil testing techniques, bioremediation, or appropriate use of polluted landscapes. Indeed, one of her research priorities is working with undergraduate students on projects that will give them the skills to conduct and use science throughout their careers. She is also interested in “excess” consumption, particularly with respect to quantifying the environmental and social cost of deadweight loss from holiday gift purchases. Candidacy Statement: I am interested in joining a group that adopts a truly interdisciplinary perspective to work toward solutions to some of today’s most pressing challenges. I think my interdisciplinary training and work on sustainable resource management and strong collaborative research framework are assets. Candidacy Statement: Kent takes the idea of methodological pluralism seriously and believes that ecological economics will be better able to understand how to transform the world if we take the institutional structure of the economy and society into consideration in both our conferences and our publications to a greater degree than at present. 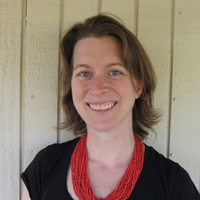 Erin Lennox is a 2014 graduate of the PhD program in Ecological Economics at Rensselaer Polytechnic Institute. Her doctoral research focused on the impact of climate change and globalization on peasant agriculture in the Mexican Yucatan and Peruvian Andes and has been published in Ecosystem Services and Society and Natural Resources. Her current research is focused on ecosystem conservation and conservation education in the Yucatan. Right now she is postponing the search for a full time academic position to spend time taking care of her one year old son. In the meantime, Erin serves as an adjunct professor of economics at various universities in New York’s Capital Region, and is doing grant writing and consulting work for environmental and education related non-profit organizations in the area. She also works with the organization Engineers for a Sustainable World, helping to incorporate sustainability into engineering education, and serves on the board of directors of the Foundation for Developing Sustainable Societies. In addition to her recent ecological economics degree, Erin also holds a bachelors and masters degree in mechanical engineering from Rensselaer Polytechnic Institute and is currently involved in a number of K-12 STEM education projects and initiatives. Candidacy Statement: I am interested in joining the USSEE board of directors because I feel strongly about the importance of incorporating ecological economic concepts into traditional economics education. I believe that the field is often overlooked by both mainstream economists, and practitioners of other disciplines who could benefit from its interdisciplinary methods and theories. I hope that as a board member I could help to promote the field of ecological economics to a broad audience. Kyle Metta is originally from coastal New Hampshire where he first became interested in ecological economics and the work of Herman Daly while seeking alternatives to the growth centric development strategies being pursued in his community. 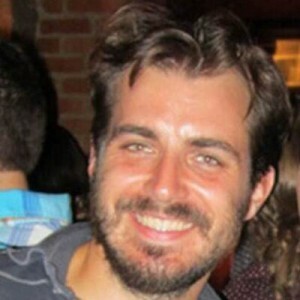 This interest and critique of “smoke-stack chasing” development led Kyle to receive his BS in Environmental Economics from the University of New Hampshire in 2010. In the years since graduating, Kyle has held environmental consulting positions at Cardno-ENTRIX, and with Resource Recycling Systems conducting nonmarket valuations and creating sustainability assessments for a variety of corporate and municipal clients. He most recently served on the Washtenaw Food Policy Council in Ann Arbor, MI as their Policy Coordinator where he worked with stakeholders to identify and model policies that support a viable, just and sustainable local food system. Kyle is currently pursuing a Master’s Degree from Michigan State University in the Department of Community Sustainability focusing on ecological economics and socio-ecological systems modeling. He is currently conducting research in the City of Detroit using participatory system dynamics modeling to evaluate barriers to food security, and is interested in developing research around sustainable degrowth and the development of social capital and networks in urban environments. Candidacy Statement: The opportunity to serve as the Student Member on the USSEE Board of Directors would be a great honor. The USSEE and its members are in a position to use their research to amplify and add direction to the emerging cross-discipline critique of neoclassical economics. The society can offer a pluralistic alternative framework for research and inform policy recommendations that are grounded in biophysical reality and a foundation in justice. As a graduate student not based at an ecological economics hub, I am quite aware of the isolation that may come with being a heterodox economics scholar. I view the Student Member’s role as one that may bring together the diversity of student voices from across the country to share in a collective discussion about the role we, and our research, play in establishing a path forward. I believe my background in strategic listening and stakeholder engagement will aid me in representing the student voice in a productive manner that creates opportunities for students to network and participate more fully in the organization. 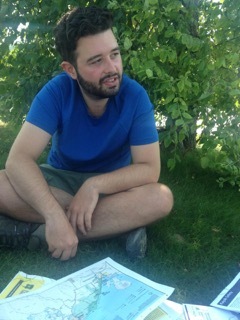 Alex Poisson is a Ph.D. student in Ecological Economics at the College of Environmental Science and Forestry, in Syracuse (SUNY-ESF). His broad interests include evolution, energy transitions and the history and philosophy of science. Alex completed his Master of Science at McGill University in Montreal, Canada, where he is from. His thesis was on the “Implications of Non-Equilibrium Thermodynamics for Nicholas Georgescu-Roegen’s Economics”. Alex has presented his work at two USSEE conferences: first in 2011 (poster), and again in 2013 (presentation) at the joint meeting of the USSEE and Biophysical Economics. He has published on “The Influence of Alfred North Whitehead on the Future of Ecological Economics”, and on the “Time Series Energy Return on Investment of Canadian Oil and Gas”. During his Masters he was a fellow with the Center for Humans and Nature, and soon afterwards he worked as a consultant with the Capital Institute think tank. In addition to his academic work Alex has long been active in the campus sustainability community. While at McGill, he helped co-found McGill’s Office of Sustainability. At SUNY-ESF, Alex works as the College’s part-time Sustainability Coordinator, bringing together students, staff, faculty and administration around exciting projects including recently a multi-purpose local food system, based on perennial ecologies, foraging, biodiversity awareness and land stewardship. Candidacy Statement: I am interested in being on the Board of Directors of the USSEE to represent students’ perspectives on the Board, to help strengthen the USSEE’s relationship with its Canadian counterpart (CANSEE) and to advocate for better awareness of, and dialogue with, other heterodox schools and associations (not only Biophysical Economics, but also for example Evolutionary, Complexity, and Behavioral Economics). Is human pressure on Earth driving the Anthropocene over the edge? Please join WWF discuss the impact human have had on the earth, and what that means for the future relationship we have with each other and with our planet. Where: 1250 24th St NW, 2nd floor conference center. Free and open to the public. Reception to follow. Dr. Fischer-Kowalski takes a long term view of humanity to understand the thresholds at which human impact on the planet has caused us to arrive here – in the Anthropocene. Humanity’s population and level of affluence has increased over time, causing greater and greater resource use. She examines this longer time-series information with an eye toward correlation with historical, social transitions in an effort to understand whether there are major social transformations in our near future. Abstract: The discussion on the Anthropocene is in search for a valid and quantifiable description of how and when humans acquire the ability to dominate major features of the Earth system. While common approaches seek to quantify the human impact upon the carbon cycle by identifying the area of land cleared by humans, we base our estimate on the social metabolism of the human population. As a starting point, we use Ehrlich‘s classical IPAT formula, and give it a specific interpretation: human impact on Earth equals population size times affluence (interpreted as energy available per person) times technology – differentiated by mode of subsistence. For the past millennia, we estimate the respective population sizes and affluence (energy), and finally technology concerning its impact on the carbon cycle. We see a major historical dividing line around AD 1500: up to then, human population growth and metabolic rates carry about equal weight in increasing human pressure. In the centuries since, fossil fuels allow to raise social energy use to unprecedented levels and introduce a take off in population and technology; technology, because it is based upon a shift from biomass to fossil fuels and other modern energy carriers, does not moderate this impact, but even enhances it. Is there a major transformation ahead? We especially seek candidates who think across disciplinary boundaries, using theoretical, applied, and/or community-based approaches to address environmental challenges where sustainability is the goal. A high priority is scholarly work with commitment to social and environmental justice and their relation to equity, power, and privilege. Successful candidates will demonstrate interdisciplinary research of the highest quality and the capacity to seek extramural funds to support their scholarship. We seek colleagues with innovative teaching methods that promote engaged learning in the 21st century and a commitment to teaching in the interdisciplinary undergraduate Environmental Studies program as well as the RSENR graduate program. Candidates will demonstrate the capacity to develop a highly productive graduate research program for both M.S. and Ph.D. degrees in Natural Resources. As part of this cluster hire, we are also seeking applications from senior scholar-teachers with administrative experience and commitment to interdisciplinary teaching and scholarship for the position of Environmental Program Director, to be hired at the associate or full professor rank. The Director provides internal program leadership as well as external leadership in relation to campus-wide undergraduate environmental education, with oversight for program staff, curriculum initiatives, cross-campus coordination, and the UVM Natural Areas. Environmental Studies, a campus-wide major shared by two colleges in addition to the Rubenstein School, is the second largest major at UVM, with over 500 majors and minors pursuing a wide range of interests. The faculty includes eight tenure-track members with appointments of 25-100% teaching in the Program and three full-time lecturers. In this period of continued growth for our nationally acclaimed program, we seek a Director who can provide inspired vision and collaborative leadership to support high quality learning opportunities and student engagement. The Director reports to the Dean of the Rubenstein School of Environment and Natural Resources (RSENR). The University of Vermont is located in Burlington, the largest city in Vermont, with an increasingly ethnically and culturally diverse population. The mission of RSENR is to understand, nurture, and enrich the interdependence of people and healthy ecological systems. RSENR has 45 tenure-track, research, and teaching faculty, 35 staff, 600 undergraduates, and 100 graduate students in both Master’s and Ph.D. programs. RSENR is based in the LEED Platinum certified Aiken Center and also includes the Gund Institute for Ecological Economics, Aiken Forestry Sciences Laboratory, and Rubenstein Ecosystem Science Laboratory on Lake Champlain. Candidates must have earned a doctorate by the time of appointment, and teaching experience is preferred. Of these positions, one will be hired at the assistant professor level, one at the assistant or associate professor level, and one at the associate or full professor level to serve as Director of the Environmental Program. Preference will be given to candidates with: 1) a strong record of scholarly achievement, external funding, and publications; 2) experience with university-level teaching, high impact experiential learning pedagogies, academic advising, research and internship mentoring, and curriculum innovation; 3) experience working across disciplines and diverse perspectives; and 4) strong communication and collaboration skills. The University of Vermont is an Affirmative Action/Equal Opportunity employer. The Rubenstein School and the Environmental Program are committed to increasing faculty diversity and welcome applications from underrepresented gender, ethnic, racial and cultural groups as well as veterans and people with disabilities. UVM is especially interested in candidates who can contribute to the diversity and excellence of the academic community through their research, teaching, and/or service. Applicants are encouraged to address how they will further this goal in their application materials. Note: References will be contacted immediately by UVM for letters upon submission of application. For further information, see the Rubenstein School and Environmental Program websites or contact co-chairs, Stephanie.Kaza@uvm.edu and Ernesto.Mendez@uvm.edu. The Department of Community Sustainability at Michigan State University invites applications for a tenure-track faculty position in environmental studies at the assistant professor level, with a 60% research, 40% teaching appointment. The Department seeks a colleague who embraces the faculty’s core value of community engagement and who will bring the scholarship of sustainability to bear on critical environmental and natural resource issues challenging communities across Michigan, the U.S. and the world. Duties include: (a) conducting and disseminating peer-reviewed research related to environmental and natural resource management and policy; (b) obtaining external funding to support a strong research program; (c) developing and delivering high quality classroom instruction; (d) recruiting and advising graduate students and directing thesis and dissertation research; (e) collaborating effectively with students, faculty, resource managers, policymakers, and other community stakeholders; and (g) performing professional and university service. Qualifications include: Disciplinary or interdisciplinary PhD in an area that contributes to the natural resources and environment focal area of the Department of Community Sustainability; Evidence of successful research leading to publications in peer-reviewed journals; Preparation for successfully pursuing external funding to support research, outreach and teaching programs; Potential for successful teaching in the sustainability core curriculum, the Environmental Studies and Sustainability major, and research methods; potential for mentoring students; Demonstrated interest in community engagement and collaborative and interdisciplinary research. For more information about the Department, see Department of Community Sustainability. For more information about the position, see Position Description. Open Call for Hosting the 8th Biennial USSEE Conference in 2015! Attached to this email please find an overview of the committee structure and general timeline of conference planning tasks. The board will work with you to develop the conference theme and planning strategy and provide a full conference planning guide. Please contact Executive Director Whitney Lash-Marshall at ussee2013@gmail.com as soon as possible if you are interested in this opportunity! The 7th Conference of the Ecosystem Services Partnership (ESP): “Local action for the common good”, will be held in Costa Rica 8-12 September 2014. Every year ESP organizes an international conference on the science and best practice and policies of Ecosystem Services. In addition to several high-level keynotes, and an opening address by the Costa Rican Minister of Environment, the core of the conference is built around 45 workshops and special sessions. It hosts over 270 presentations on a wide range of topics on the science, policy and practice of ecosystem services. In addition, several EU funded projects will present results of 4-5 years of research on the use of Ecosystem Services in Community Based Ecosystem Management in Latin America and there are several free pre-conference trainings on practical tools for ecosystem service assessment. The local organizer is Fundacion Neotropica in collaboration with CATIE, Universidad Nacional and IUCN-CEM Meso-America and supported by the CGIAR-Water, Land and Ecosystems program. Deadline for registration for the free trainings is August 15, and the conference registration closes September 1st. Newly elected board member terms will begin June 1st, joining current board members Valerie A. Luzadis (President), Robert Richardson (Secretary-Treasurer), Ken Bagstad (Member at Large), and Lisi Krall (Member at Large). The board also extends our thanks and gratitude to outgoing board members Jon Erickson (Past President), Rumi Shammin (Member at Large) and Mairi-Jane Fox (Student Representative). Thank you to all our members who voted in our May election! The USSEE Board of Directors is pleased to announce the nominees for the 2014 Board Elections. There are two nominees for each of four positions: President-elect, At-Large Member (2 positions), and Student Representative. Nominees are presented by position in alphabetical order. Elections will open on Wednesday, May 7 and run through May 21. Paul Baer received his BA in economics in 1984, and after learning about ecological economics in 1994 decided to return to school, obtaining his MA in Environmental Planning and Management from LSU in 1999 with Paul Templet and his PhD in 2005 with Richard Norgaard at UC Berkeley’s Energy and Resources Group. He presented his first paper on climate justice at the 1998 meeting of the ISEE in Santiago, Chile, and served as student representative on the founding committee of the USSEE. 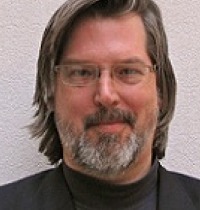 Together with colleagues at EcoEquity (which he co-founded in 2000) and the Stockholm Environment Institute (US), he helped develop the influential Greenhouse Development Rights climate policy framework, and promote it in the Climate Action Network International, among global justice philosophers, and elsewhere. 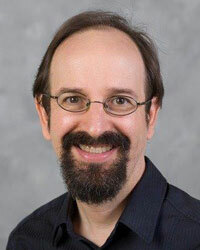 After a post-doc with Steve Schneider, in 2009 he became an Assistant Professor at Georgia Tech’s School of Public Policy, where he helped found the Climate and Energy Policy Laboratory with Dr. Marilyn Brown; he taught undergraduate courses in statistics, environmental policy, and political economy, and graduate courses in climate policy, microeconomics and ecological economics. In 2013, he returned to the NGO sector as a Climate Economist for the Union of Concerned Scientists’ California office. Candidacy Statement: I chose my graduate programs to work with people who were helping define ecological economics (EE), because I saw a need for ecologists and others doing interdisciplinary work to have an alternative to neoclassical economics. My work on global climate justice has focused on identifying the appropriate scale for GHGs and an equitable approach to redistributing newly scarce rights in a global commons. My natural science training led me early on to recognize that CO2 concentrations around 350 ppm were necessary to preserve a reasonable probability of climate stability. Given our overshoot, egalitarian ethics makes the need for redistribution – globally and domestically – seem obvious. I recently left academia to work for UCS, a “science-based advocacy organization.” But there is no coherent body of social science to provide the necessary analysis of the political and ecological economics of climate change. I believe EE and the USSEE can help organize a coherent alternative to neoclassical climate economics, providing enough legitimacy to be useful to organizations like UCS and other scholars, activists and politicians who see the sustainability transition as non-marginal and redistribution as an essential component. I hope as President-elect to work across intellectual communities to help make this possibility a reality. Jonathan M. H arris is Director of the Theory and Education Program at the Tufts University Global Development and Environment Institute. His publications include “Green Keynesianism: Beyond Standard Growth Paradigms” in Robert Richardson ed., Building a Green Economy: Perspectives from Ecological Economics (2013); “Reorienting Macroeconomic Theory towards Environmental Sustainability” in Jon Erickson and John Gowdy eds., Frontiers in Ecological Economic Theory and Application (2007); co-editor of Twenty-First Century Macroeconomics: Responding to the Climate Challenge (2009); co-author of Environmental and Natural Resource Economics: A Contemporary Approach (3rd ed., 2013); Macroeconomics in Context, Microeconomics in Context, and Principles of Economics in Context (2014); Environmental and Social Issues in Economics (Encyclopedia of Earth http://www.eoearth.org, 2006); co-editor of New Thinking in Macroeconomics: Social, Institutional and Environmental Perspectives (2003); A Survey of Sustainable Development (2001); A Survey of Ecological Economics (1995); Human Well-Being and Economic Goals (1997); editor of Rethinking Sustainability: Power, Knowledge, and Institutions (2000). He has taught courses in environmental economics and sustainable development at Tufts University, Brown University, and Boston University. Candidacy Statement:Large-scale environmental problems, especially global climate change, demand a fundamental re-orientation of economic theory and policy. An ecological perspective has the potential to transform the narrow views of economics and development that currently dominate mainstream economics, and to broaden the understanding of a generation of students who will shape the twenty-first century. In the texts and educational modules on climate change and other environmental issues available at http://www.gdae.orgI and my colleagues attempt to introduce fundamental ecological economics concepts to economics curricula. I have been active with USSEE its inception, and have served on the boards of USSEE and ISEE. I believe that USSEE has the potential to expand its reach both in trans-disciplinary research and in efforts to reform the teaching of economics and other fields to reflect ecological realities. I would especially like to promote availability of more curricula and teaching materials on the USSEE website’s education page, both for those who are developing programs in ecological economics and those who are teaching in more traditional disciplines but seeking to broaden their course content. Sean McGuire worked at Maryland’s Department of Natural Resources for 15 years before recently moving to Oregon. 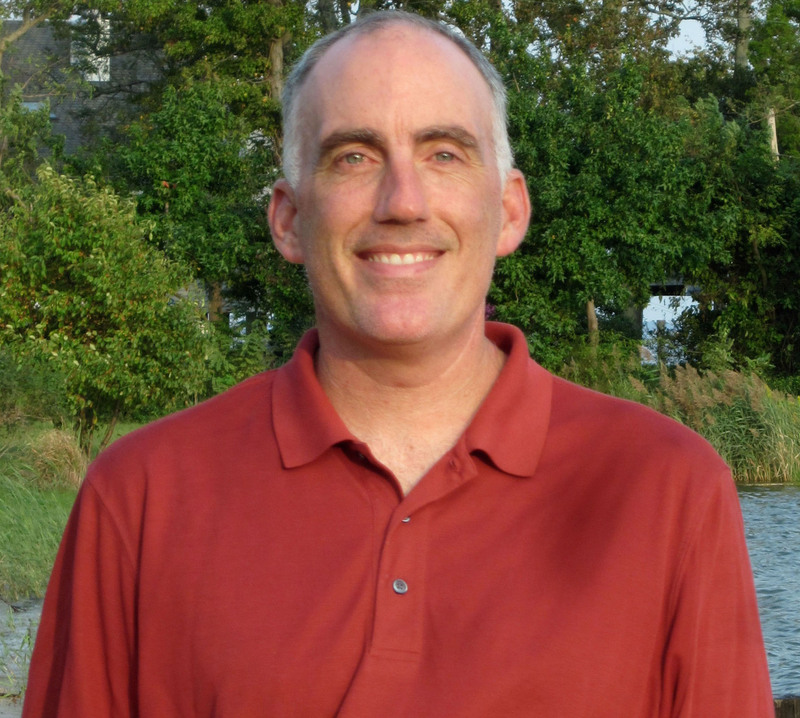 For the last seven years, Sean was the Director of Sustainability Policies and focused on statewide systemic policy solutions and initiatives, including those addressing green economy; ecological economics; sustainability indicators; and, ecosystem services, valuation, and markets. In 2009, Sean initiated Maryland’s Genuine Progress Indicator (GPI), the first State government to do so. Recently, Sean joined Oregon Government to not only calculate the State’s GPI, but more importantly to institutionalize the GPI into Oregon’s 10-Year Policy & Budget Plan. Sean continues to be an active national leader on the GPI and other alternative, more comprehensive gauges of true prosperity and wealth. His main emphasis centers on making academic research more approachable to the general public, useful for State policy makers and budget analysts, and politically palatable for State government officials. Sean earned his Master of Public Policy degree with a Certificate in Ecological Economics from the University of Maryland, and a B.A. in History of Public Policy from U.C. Santa Barbara. He presented at several national events, including the 2012 Strategies for a New Economy Conference and the USSEE 2013 Conference. Sean gets outdoors as much as humanly possible by enjoying backpacking, hiking, and triathlons. Laura Schmitt Ola bisi is an assistant professor at Michigan State University, jointly appointed in the Environmental Science & Policy Program, and the department of Community Sustainability. Laura served on the scientific committee for USSEE’s 2011 conference, and is currently serving as a USSEE board member at large (elected in 2012). During her tenure on the USSEE board, Laura has taken leadership on conducting a strategic planning exercise for the future of the society and soliciting feedback from members on the intellectual agenda of the society, as well as assisting the board, the president, and the secretary with moving USSEE forward (for example, by hiring an executive director). Laura is a systems ecologist and participatory modeler, working directly with stakeholders to conduct research on topics such as soil erosion, population growth, greenhouse gas emissions, water sustainability, energy use, deforestation, adoption of organic/sustainable agricultural techniques, climate change adaptation, and climate change and human health. She holds a B.S. in Environmental Science from Brown University, and a Ph.D. from the State University of New York College of Environmental Science and Forestry. 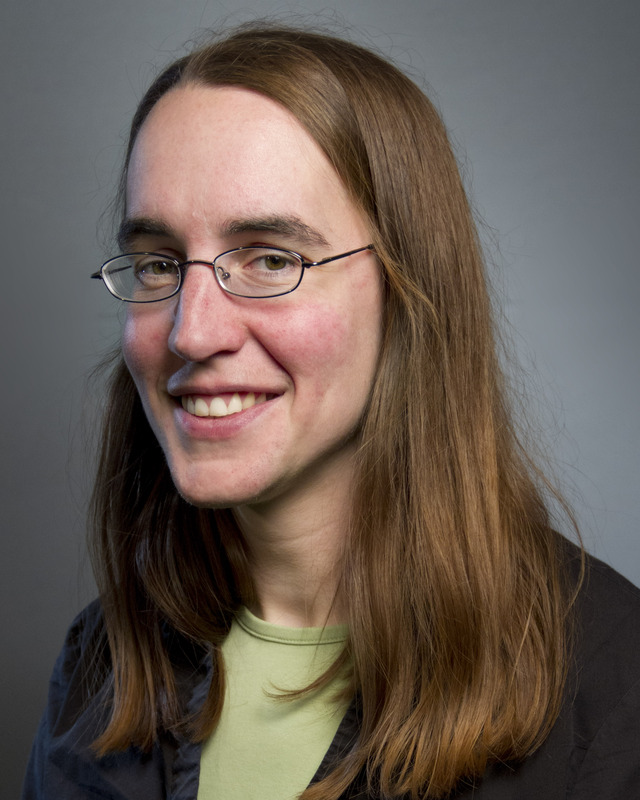 Prior to her appointment at Michigan State, she worked as a post-doctoral researcher with the Ecosystem Science and Sustainability Initiative, housed at the University of Minnesota. John Sorrentino received his Ph.D. from Purdue University and was hired by Temple University in 1973. Most of his publications and consulting work have involved the micro-economics of energy and the environment, and have appeared in journals such as the American Economic Review, Journal of Environmental Economics & Management, Environmental Management, and Landscape & Urban Planning (forthcoming). His works-in-progress include articles on sustainable housing placement, environmental information systems, sustainable business practices and urban agriculture. He has presented at many USSEE and ISEE conferences, and will be presenting research on “Greenworks Philadelphia” in Iceland. John was a co-founder of Temple University’s Environmental Studies Program, and was honored by the University with a 1999 Lindback Award for Distinguished Teaching. He has performed service on numerous committees at all levels of the university and in the outside community. He looks forward to having a direct hand in promoting USSEE. Abigail Dan was raised in a rural community in Northern California and gave up a promising future in the financial services industry to follow her passion for science. Through work in organic agriculture production and international commodities research, she came to realize the power of markets to shape decisions about how we use land and other natural resources. With a vocational degree in horticulture, she went on to earn a B.S. in Applied Ecology with a minor in environmental and development economics. 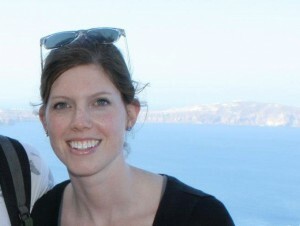 Through her undergraduate career, she was a student delegate to the Property and Environment Research Center’s Free-Market Environmentalism Colloquium; interned with the Natural Capital Project at Stanford University; and is completing her term as the North America Section Representative for the Society for Conservation Biology’s Ecological Economics and Social Science Working Group. After beginning a Master of Science in Conservation Ecology at California State University, Chico, she joined a local Resource Conservation District as Project Manager, where she is currently overseeing multiple grant-funded habitat restoration sites and working closely with community members towards collaborative environmental improvement. 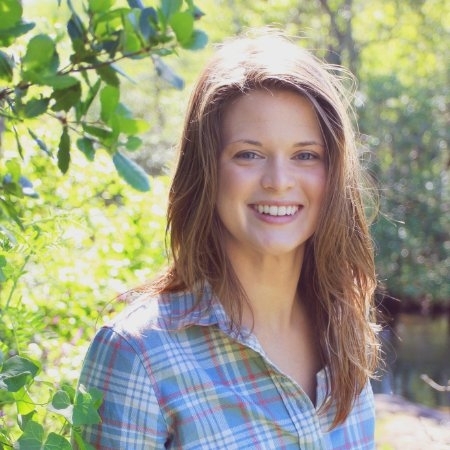 It would be an honor for her to serve as the Student Member of the U.S. Society for Ecological Economics’ Board of Directors as she continues to pursue her graduate studies and develop a deeper understanding of the economic drivers of conservation decisions in the field. Kyle Gracey is a Ph.D. candidate in the Engineering and Public Policy Department at Carnegie Mellon University. He is a chapter author of the recently released book Building a Green Economy: Perspectives from Ecological Economics and has published in Ecological Indicators. Kyle has presented at both USSEE and ISEE conferences. He is the former Student Representative on the Board of Directors of the Working Group for Ecological Economics and Sustainability Science at the Society for Conservation Biology. He formerly worked as a Research Scientist at Global Footprint Network, at Gade Environmental Group consulting, Climate Action Network-International, and for the White House, U.S. Department of Transportation, and U.S. Department of the Treasury. Kyle also serves on the boards of directors for Engineers for a Sustainable World, Student Pugwash USA (Vice President), SustainUS: U.S. Youth for Sustainable Development (Board Chair), and the Truman Scholars Association (President). He received his M.S. from the Geophysical Sciences Department and Harris Public Policy School at The University of Chicago, and earned B.S. degrees from Rensselear Polytechnic Institute in Biochemistry & Biophysics and Ecological Economics. This in an interactive online course taught in English over sixteen weeks. It features lectures based on Civil Society Organizations and Environmental Justice Organization case studies across a broad range of topics, taught by well known ecological economists / political ecologists including Joan Martinez Alier, Bernardo Aguilar, Beatriz Rodriguez-Labajos and Hali Healy. It has been designed for activists interested in understanding and applying the tools of ecological economics to their work, and for researchers of the sustainability sciences interested in the real world application of the concepts and methods of ecological economics and political ecology. Each module is tutored by a leading researcher or practitioner of ecological economics. It consists of a recorded lecture, an assigned case study reading from the core text, and further optional readings. A key feature is the online discussion forum – a virtual classroom where trainees interact with each other and with tutors. Each module ends with the submission of a short assignment that is assessed by the module tutor. The time needed to complete a module depends on depth that students choose to go into with the materials, however a rough estimate is 10-20 hours per module. The course requires trainees to submit an additional final assignment in the form of a contribution to an interactive map of environmental (in)justices, along with a corresponding “factsheet”, on a particular issue they are familiar with or interested in. All course elements can be accessed whenever it is convenient for trainees – within the time period (one week) dedicated to each specific module. However, as the lectures cannot be downloaded and have to be watched online, a strong, reliable internet connection is a must.